as a free-flowing, electro-static charged dry powder. so therefore much more environment-friendly! is then cured with heat. The powder may be a thermoplastic or a thermoset polymer. very much tougher than conventional liquid paints. We cater for a wide range of clients and their various requirements. 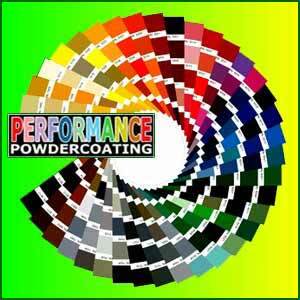 Coating service for local Industry and the general Public alike. Ideal for Classic car & Classic motorcycle restoration Enthusiasts. A sports car roll cage finished in a smooth team grey.